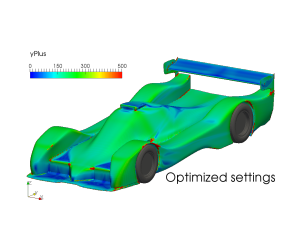 statistical methods are used to derive optimal sets of parameters for applications such as external aerodynamics. Process optimization ensures reliability with minimized run times. CFD results as the yPlus critium for the turbulence wall model is obeyed over larger parts of the geometries. surface layer height was adjusted to account for the used inlet velocity. 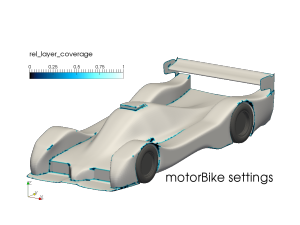 The results show that it is possible to get close to fully covering geometries with surface layers using snappyHexMesh. While in this optimization 100% were not achieved, it is clear that the mesh has a great affect on the later solver run time. 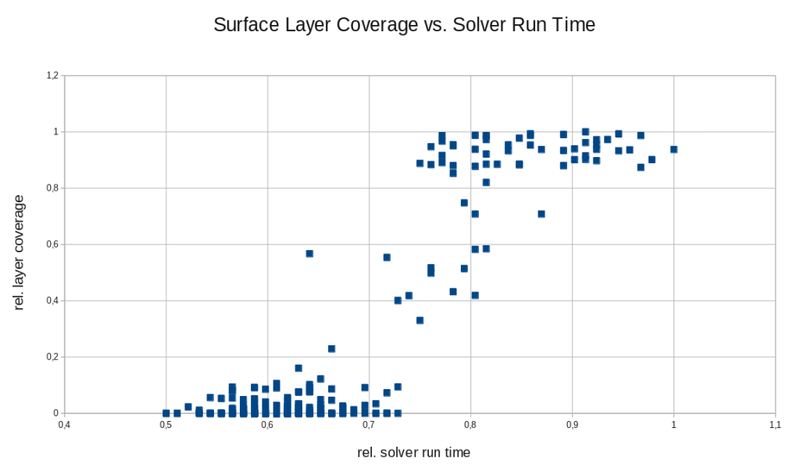 In this optimization the desired results are in the top left corner as these represent solutions with high surface layer coverage and short solver run times. 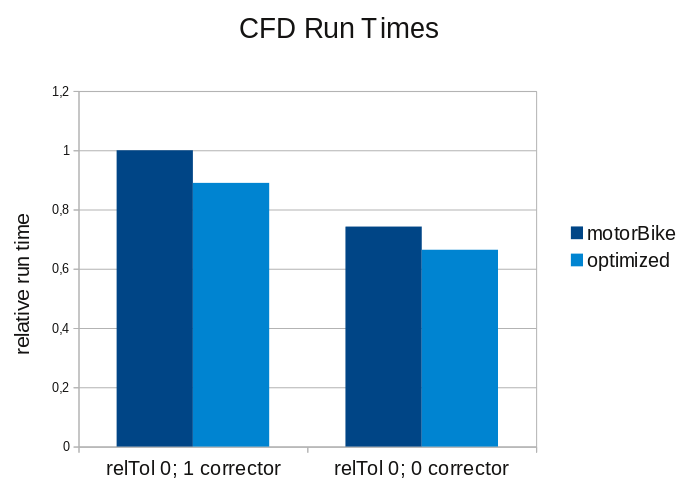 Benchmarking the solver run times of the two meshes shows that using zero or one non-orthogonal corrector the optimized mesh runs about 10% faster for both cases. Please also consider that as the mesh has a lower non-orthogonality the corrector step is not necessary when using the optimized mesh. To some it might come as a surprise but the results show that the standard settings provided with the motorBike tutorial are already very good! The method of optimizing the meshing parameters is applicable to any kind of CAE software which is controlled through user definable parameters and is executable in batch mode. If you are interested in improving reliability or performance of the tools used in your organization or have questions please contact us.